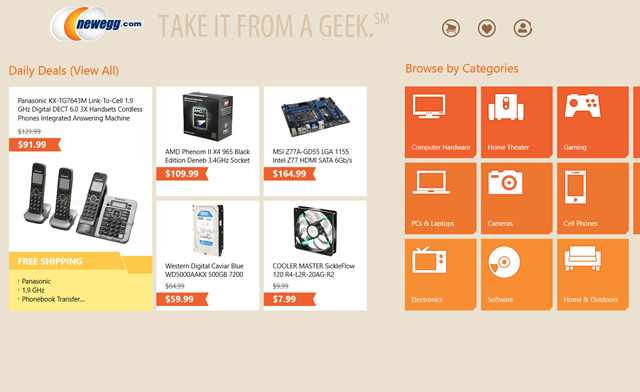 Newegg is a free Windows 8 Shopping App that lets you shop for different products online. Unlike the other online shopping carts, Newegg app for Windows 8 is quite easy-to-use. It’s not very congested with unwanted ads and texts and are not confusing than other carts. 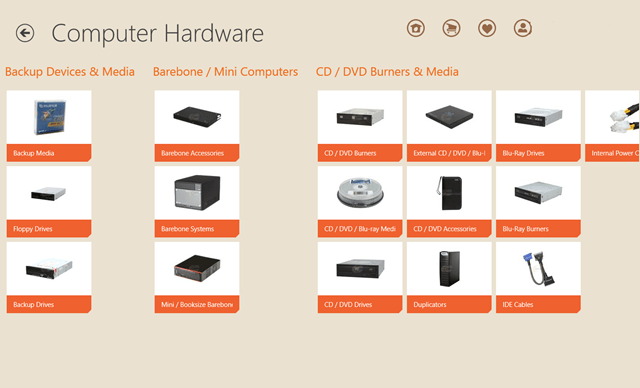 This Windows 8 shopping app gets installed on your system and you can then browse through a long-range of cool gadgets and appliances. And, not just only electronic stuffs, you can also buy your daily usage commodities. In addition, you can also buy from the outlet and can buy your favorite accessories. Purchase home appliances, hardware products, kitchen ware etc. 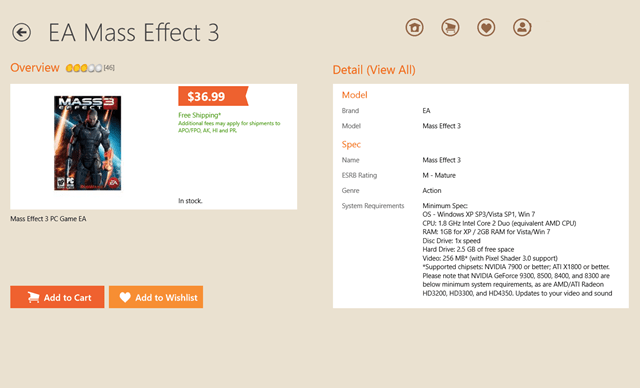 straight from the Newegg Windows 8 app. Just click on the category you want to buy from and add it to your online shopping cart. You can also get the best deals on this Windows 8 shopping app everyday that can save a lot of money. Get best quality products at shocking prices. Just switch onto Newegg everyday and get best offers and cheap deals on a large range of products. Checkout the latest buzz on various computer hardware, laptops, PCs, electronics, CD/DVD Burner, gaming etc. For our young teenagers, there is a wide variety of games on Newegg. You can also browse through them. Check out our post on more Windows 8 Apps. Click on the items you want to purchase and add it to your online shopping cart. If you want to buy it later, just add that item to your wish list. you can also check the items in your cart whenever you want and can also delete them if you really don’t want them. You can also check the reviews of the product, its details and the other online shopping insight. Newegg makes your online shopping really easy and comfortable. So give this amazing Windows 8 App a try.